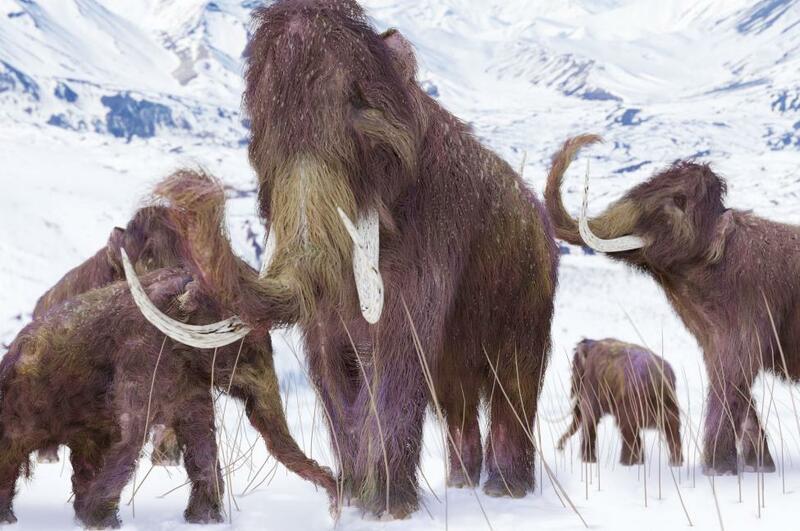 A recent experiment that is being performed at Tel Aviv University, proposed the possibility that the genetic background of the wooly mammoth and the Neanderthals could share similar molecular characteristics that help them to adapt to cold environments. Both the Neanderthals and wooly mammoth are mammals who are known to be extinct and from an African ancestry. The reason that led scientists to think about this possibility is that they believed in the saying, “you are what you eat.” The two mammals lived during the same period of time during the ice age in Europe. Data demonstrates that the Neanderthals hunted and consumed mammoths for over ten thousand years. Then Neanderthals were basically depending on the large animal in order to survive. In order to prove that they shared similar genes, archeologists examined important alleles and variations found in the genomes of both of them and that had to do with cold adaptation. As a result, it was first discovered that they shared the LEPAR gene. LEPR gene is in charge of the fat storage and regulation of adipose tissue all through the body. The genes that have to do with keratin protein activity were also located in both. They also both had the same hair pigmentation variants and types of skin. Professor Barkai stated that currently, it is possible to try to answer the question that nobody had thought about before- “Are there genetic similarities between the evolutionary adaptation paths in Neanderthals and mammoths? The answer is yes. This idea has opened many doors for new research in evolution, archeology, and other disciplines.